Ooooh – that is good to know! I’m using the 3D Vision Emitter Emulator and 306.97 drivers (the emulator doesn’t work with newest). Should updating Game Profiles add the newest games included in latest drivers? I don’t seem to have profiles for FIFA 13, NFS Most Wanted or Black Ops 2 to name a few. Is there a way I can play these without updating the drivers? Thanks! 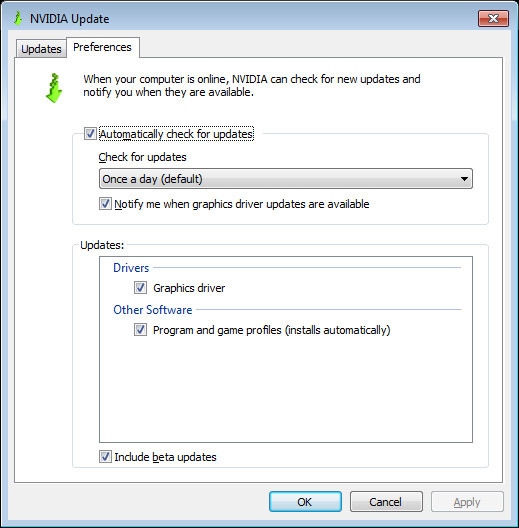 If you are using the Nvidia Update you can have only the game profiles updated, even though you are not using the latest video drivers.